SEATTLE, Wa. – Concerned psychiatrists rushed to the residence of Ben Haggerty, better known by his stage name ‘Macklemore’, in response to a tip from the progressive “blog” ACVoice regarding the delusional tendencies of the popular white rapper. “Are you a rapper?” asked the generic psychiatrist, clearly exhausted after rushing to the Garfield neighborhood of downtown Seattle. 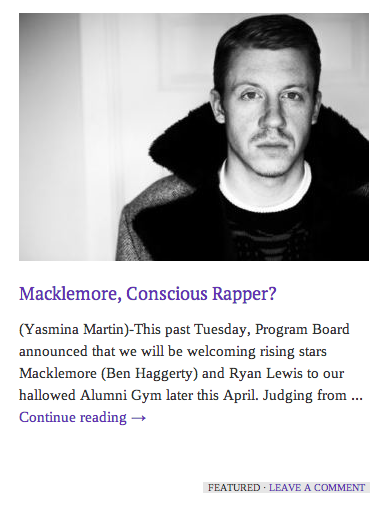 “Yes, I am a rapper,” replied Macklemore, clearly a rapper.